For any author publishing outside of traditional publishing—meaning all the various forms of self-publishing—at some point, you have to address the question of who your publisher is and what imprint you will publish under. 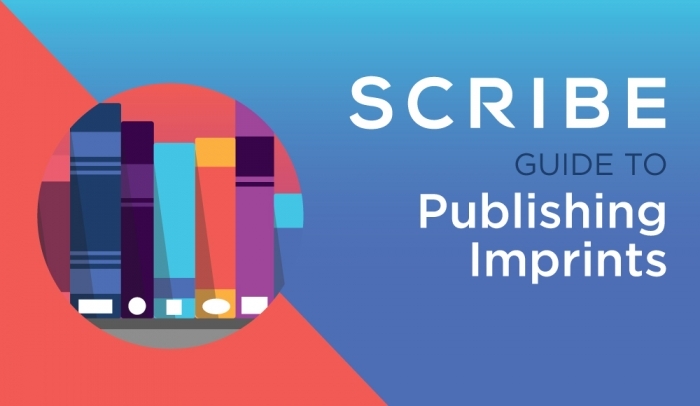 I put this guide together to help Scribe authors (and anyone else) navigate this decision. 1. What is an imprint? Plainly put, an imprint is the name used to publish a book, which can differ from the name of the actual company that publishes the book. That’s it. So for example, in the case of this company. Scribe Media is the name of our company, but we publish most of our books under one primary imprint, Lioncrest Publishing. 2. Why do they matter? Quite honestly, they don’t matter much at all. Think of your three favorite books, the ones that had the deepest impact on your life. Chances are you have no idea. I can’t name the publisher of any of my favorites. You know why? Publishers don’t ultimately matter. This being said, to some authors, they do matter. Many of the authors who work with Scribe like being published under the Lioncrest Publishing imprint, because that imprint has had so many successful NY Times and WSJ bestselling authors (like David Goggins, Craig Ballantyne, Cameron Herold, and many others), and they like being associated with those authors. I get that idea—we all want to be associated with people we respect, but let’s be honest: just because other authors under any publishing imprint have succeeded, doesn’t mean you are successful if you publish with the same imprint. That’s not how it works. Well, if you have a traditionally published book, you don’t choose. It’s assigned to you. If you are self-publishing without any professional help, then you have to use KDP, or make up your own imprint. A. Most of our authors have the option to publish under the Lioncrest Publishing. If we think the book is good and offers sincere and credible value to readers (which is virtually every book we agree to work on), we’re happy to publish it. B. All authors have the option to create their own imprint. Some authors prefer to publish under their own imprint, for any number of reasons (including some of the best books, like One Last Talk). C. Some authors we require to create their own imprint. For some books, the authors make creative choices that, while valid for them, prevent us from publishing under our Lioncrest imprint. 4. What are the implications of the imprint I choose? Most people who are deeply worried about who the publisher is are playing status games. If they have a high-status publisher, they think it makes them and their book high status. Here is the hard reality: that’s just not true. HarperCollins published To Kill A Mockingbird, but no one thinks that the 500 other novels they publish each year are any better or worse because of that fact. Now, 40+ years ago, it did matter. Each publishing imprint had a distinct style and voice, and many readers searched for new books not by the author, but by publishing imprint. The best example of this is Harlequin. They so dominated their niche that even to this day, romance novels are often called Harlequin romances. But that was a long time ago. And it’s gone now. Again, no reader cares who published your book, because it doesn’t much matter. Do you know what they do care about? If the book is good or not. 5. Can I use my company name? Should I? If you own the IP of your company name, then you can. If you do not own the IP of your company, then you need permission from the owner. If you do own the IP or have permission, the question becomes: should you? In some industries, this is standard practice. In others, it’s unheard of. But again, it doesn’t mean much either way. It’s one of the more minor decisions you will make in the book publishing process. 6. Will people know I self-published if I use my own imprint? 1. No one really cares who the publisher is, so they probably won’t notice. 2. If they do know, so what? After all, you did self-publish. 3. There is nothing wrong with self-publishing. In fact, in the modern world, for most authors, self-publishing is better. It means you get full creative control, you own all the rights, and all the profits. That’s why David Goggins did it. I’m kind of being glib here, but the reality is it honestly does not matter who published your book. The days of your publisher being an important status signal to readers are decades past. 7. Are there any rules I need to follow in selecting my imprint name? -We recommend you use a name that no one else is already using as a publishing imprint. -We recommend you check Amazon to make sure it’s not being used. -We recommend you also check Google to make sure it’s not being used. 8. Can I use a name that’s been trademarked? How do I find out if the name I picked is available? Yes, you can use a trademarked name—assuming you own the trademark or have permission from the owner. If not…then no, you cannot use another person’s trademarked name. If you are unsure, the US Patent and Trademark Office has a search engine just for you. 9. Can I change it later? Yes. It can be expensive and annoying for many reasons (basically, you have to fully republish the book), but it is possible. 10. Do I need to set this imprint up as a business? Or get a trademark? You can, but you definitely do not need to. In fact, if you are a Scribe author, the imprint you publish under has no relevance to who gets the money from your book (you), or how taxes are paid (same way). And same with a trademark: you can get one, but you don’t need one unless you plan to use this in other ways and create a brand out of it. NOTE: if you live outside the US, this advice may be wrong, and you should use your local laws as guides, not me. To recap: An imprint is a name used to publish a book. If you use a traditional publisher, you’ll be assigned an imprint. If you self-publish, you can use KDP or make up your own imprint. Decades ago, the imprint was an important status signal to readers. Today, readers don’t care what imprint you use to publish your book. They only care if your book is good.